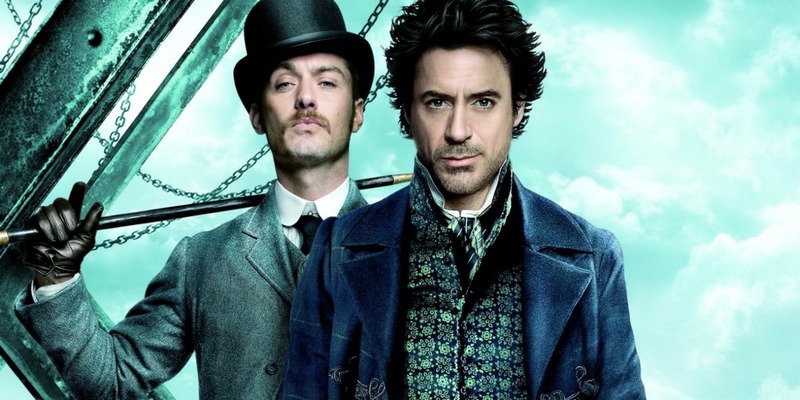 A third Sherlock Holmes movie starring Robert Downey Jr. as the great detective and Jude Law as his loyal companion Dr. Watson has been in the works for years, but at last, the original dynamic duo are about to team up again. With the film now taking shape, some new intel tells us just where the pic’s going to take place and apparently, Sherlock Holmes 3 will see Holmes and Watson journey to the Old West. HN Entertainment writes that they’ve been informed by a source that Guy Ritchie’s threequel will see the Victorian heroes travel to San Francisco during the Wild West era. Though the 2009 film was located in Holmes’ traditional home of London, the 2012 sequel Sherlock Holmes: A Game of Shadows took the detective on an action-packed tour of Europe as he hunted down his nemesis, Professor Moriarty. That was derived from a tale in creator Arthur Conan Doyle’s stories, but a trip to the Old West would be a fresh concept for the movie. That said, the Sherlock Holmes canon features many connections to the United States, with countless plots revolving around some dark personal history that’s followed the character from the “New World” back to England. If this info’s correct, SH3 is just flipping the script and taking Holmes to the US instead. In related news, Geek Vibes News has reported that Sherlock Holmes 3 is looking to begin production in January 2020. This follows a recent report that told us the release date has been moved back from December 2020 to December 22nd, 2021. That’ll be a whole nine years since the last one, but I suppose that’s the price you pay if you also want Marvel movies with Downey Jr., Fantastic Beasts films with Jude Law and the Aladdin remake from Ritchie.